Case in point, everyone's (or just my) favorite triathlete. 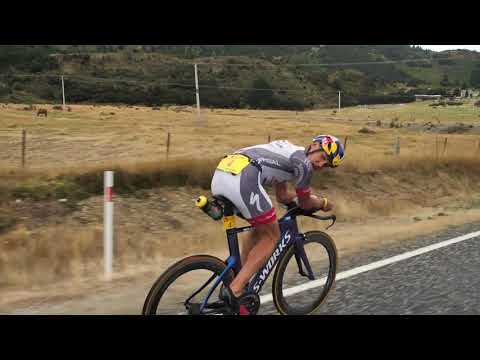 If you don't have 2 minutes to watch the entire thing, Currie dropped his chain at Challenge Wanaka. Gomez pulled up to give him a push to try to ride it back on. When it didn't work, Gomez held up down the road for him to pull over, get his chain back on and catch up. Gomez went on to beat Currie by about 17 seconds. That is why people love Gomez. A fierce competitor but also a class act. I know some of the other top ranked athletes have reputations for being complete assholes and people excuse it as "You gotta do what it takes to win" but it speaks volumes when you can dominate AND be a decent human being. You wouldn't happen to be talking about getting Rapped would you? I want to watch a race, not people being friends. It's understandable: Win Gold, settle for Silver, but win Bronze. "p. s. I write this under duress. I would do the same thing in a heartbeat. Second place is first loser, and I don't want to celebrate being a loser." For context, I can't think of another sport where for the last twenty years - twenty years! - no country other than the US and Canada have had a snowball's chance in wherever China is hosting the next winter games to win gold in women's hockey. It's win or lose for these women. The only medal that matters is gold. @Rash I hadn’t seen that clip before. I couldn’t help but laugh. I know exactly which swear words he must have said as he tossed his medal into the crowd. Fy fan!